After 22 years in the Army, there was nothing Craig Jackson (CJ) didn't know about the deadly craft of bomb detection and disposal. He was the go-to guy for clearing an area of explosives. So when he left the military, there was really no choice: his expertise was rare, sought after, and potentially very lucrative. He'd long ago learnt to put the danger to one side; now he loved the adrenaline rush - the exhilaration - of the job, staying cool in the face of death, outsmarting the murderous and wily bomb-makers. 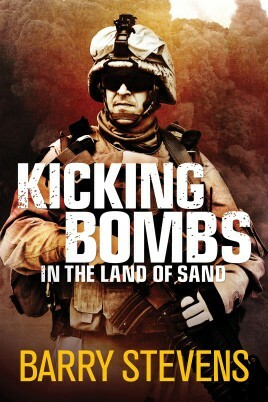 Craig establishes his own landmine-clearance company, and is soon catapulted into the thick of the war in Iraq, tasked with disposing of Saddam Hussein's massive array of bombs, ammunition and weapons. This is Craig's dream job: getting to play with hundreds of thousands of tons of explosive ordnance, while also doing a bit of good on the side. Everything is going smoothly until a typical convoy sortie in the Iraqi desert turns Craig's world into a nightmare. Ambushed by a large, well-armed and organised enemy force, Craig and his colleagues are taken prisoner by Saddam's henchmen. Thrust into a nether world of pain and brutality, all of his thoughts and efforts become focussed on one thing: staying alive. Disarming a bomb would soon come to seem like child's play, as Craig has to draw on every shred of his mental and physical strength to endure the horrific daily torture at the hands of his captors. He constantly dreams of escape, but will they break him first?